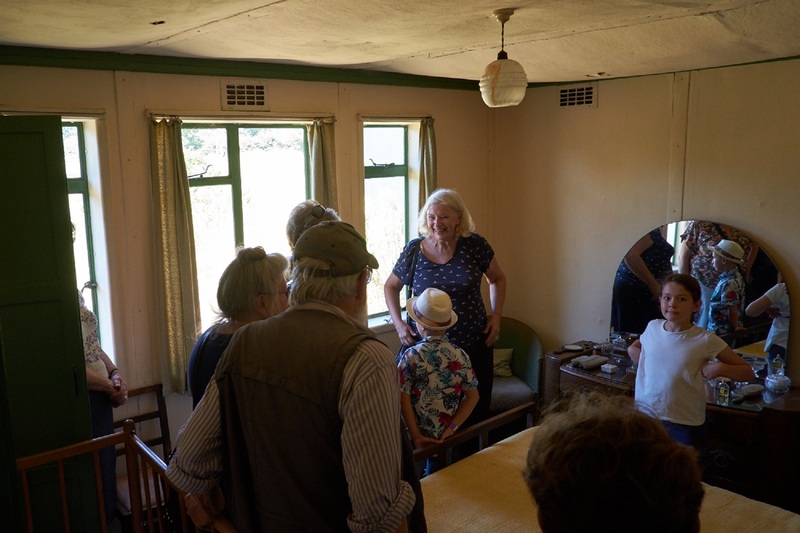 On the hottest day of the year, 23rd August 2016, we visited Chiltern Open Air Museum in Chalfont St Giles, Buckinghamshire, as part of the Moving Prefab Museum summer events. 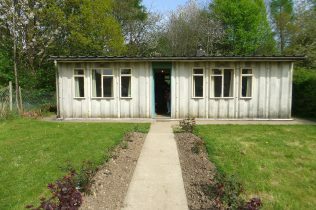 Chiltern holds themed ‘Terrific Tuesdays’ during the school summer holidays, which was Make Do and Mend so very appropriate for the prefab! 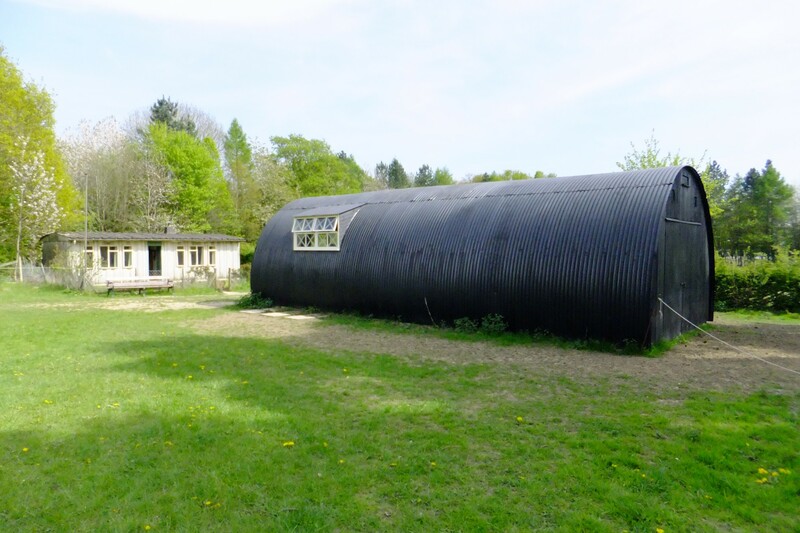 Chiltern is not only located in a most picturesque part of England and has a wonderful collection of buildings geared to families and children, but it has a Universal prefab, manufactured locally in Rickmansworth. There were approximately 2,000 Universals manufactured, each with a steel frame and corrugated asbestos cement panels. 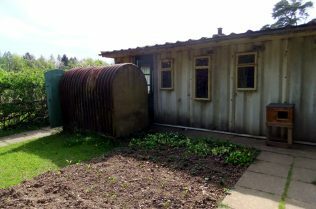 The prefab was located in Finch Lane, Amersham, before it was dismantled in 1987 and transported to the museum as a living exhibit. The Universal was distributed across the south east of England from Portsmouth to Hastings to Hertfordshire. 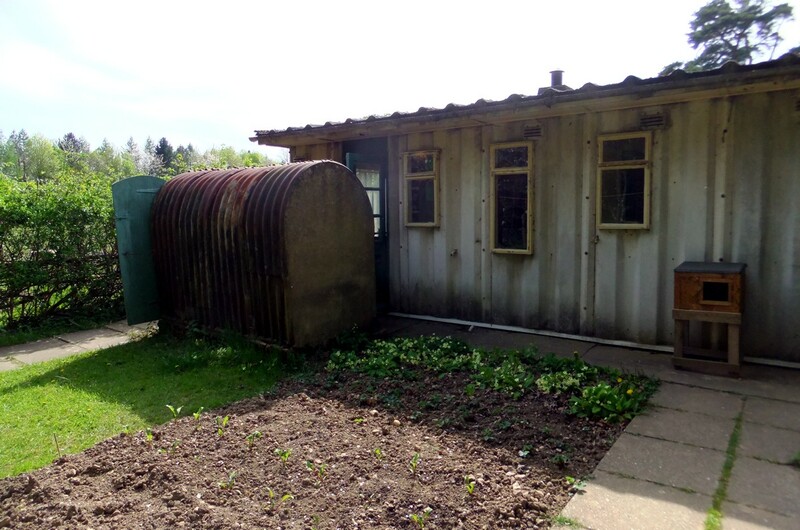 We were alerted to one example on a farm in Cheshire in use as a chicken house, later as a cattery complete with cat flaps! The interior of the Chiltern prefab is beautifully fitted out, and the back bedroom is open for people to go inside and children to play with the toys and try on clothes from the period. One little girl looked very hot, but she had two woollen school uniforms one on top of the other! Another little girl was very knowledgeable about prefabs, and I asked her if she would like to be my assistant on the next tour. And she came back. The prefab is flooded with light, from the many windows. 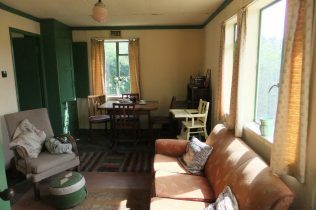 As always, people on the tours remarked how spacious and well laid out the prefab is, with every modern convenience for the time. We were able to go in all of the rooms and show visitors the ice box where residents made lollies. It is so tiny compared to modern freezers with room for just one ice cube tray, so residents must have been very inventive with the lollies. We set up the exhibition in the adjacent Nissen Hut and arranged the Colour Me prefab colouring sheets for children on the grass outside. Talks and tours of the prefab and allotment were scheduled every hour and there was a long queue for the first one at 11.30am. 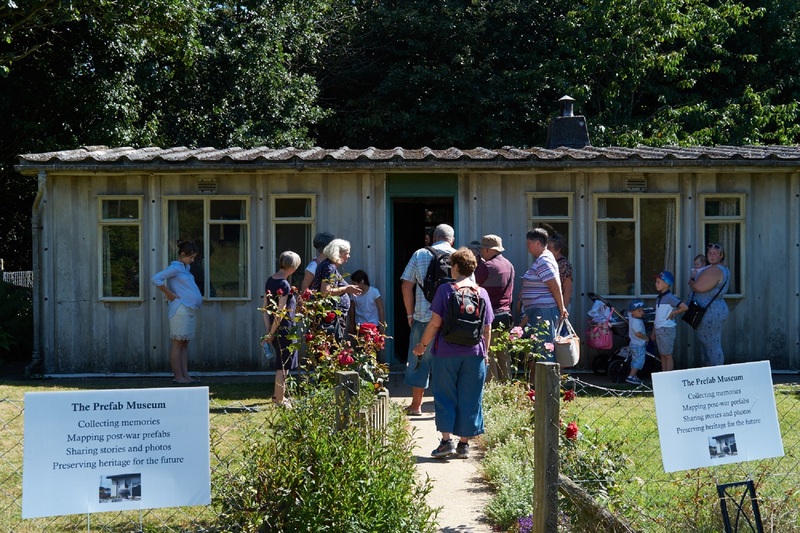 There were many people and children interested in how people lived then and the history of prefabs in the UK. Staff and volunteers from Chiltern looked after us very well, bringing us cups of tea and chocolate bars in the afternoon when we were flagging a little from the heat. 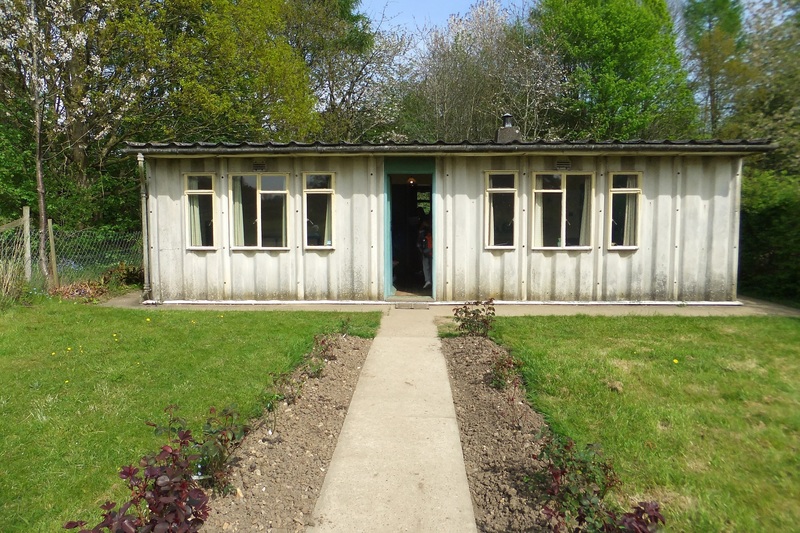 Thank you to Cathy and Sue for their enthusiastic reception of our merry band of Prefabbers and making us so welcome. 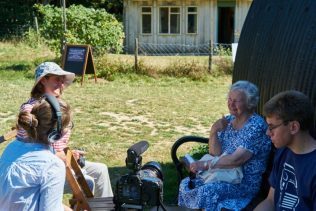 Solange and Jane, fresh from the oral history training day only three days previously, were able to record their very first interview with Rosemary, the cousin of the lady that had lived in the Chiltern prefab. You can download a transcription of the interview at the foot of this page. 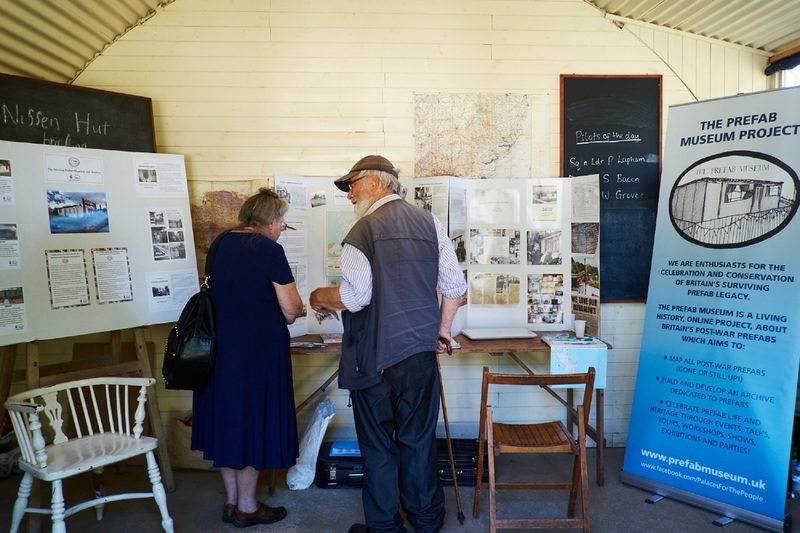 Thanks to Solange, Jane, Jo, Dave the driver and Selim the photographer, plus Bernard who arrived in the afternoon for such a great day out promoting prefabs.